As we all know, finding the best fit matters in all aspects of our lives. Nowhere is this more important than with hearing aids. 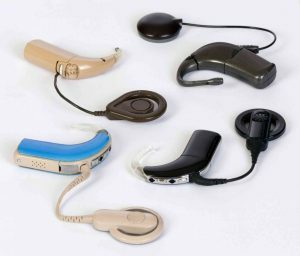 Let’s talk about how we can find the best fit for your hearing aid. When shopping around for hearing aids, comfort is a valuable consideration to make. As always, volume levels matter, but what difference does it make for your hearing if it’s so uncomfortable you keep taking it out of your ear? Volume and comfort are both important. Striking a balance between them is even more important. Volume determines how loudly and clearly your new hearing aids will amplify the sounds you pick up around you. Volume is especially critical in conversational settings. Don’t rush into getting a model that promises high volume quality if it hurts to wear it. Conversely, don’t sacrifice volume for comfort. A comfy model that’s not the loudest can be just as problematic. Read on for advice about getting fitted at the store. When visiting the audiologist for a fitting, be sure to bring along a companion. A family member or a friend can help you test out different models and get used to them by listening to familiar voices. An initial hearing test will help identify a possible model for you, but be aware that it most likely won’t be custom-fitted for your ear. But you won’t know until you try. Also, certain offices with higher technology capabilities can go beyond just fitting it to your ear and can align it with your inner ear canal. Now read on for advice about getting fitted at home. How do you know you’re getting the best fit? It should form a seal. This seal should take the form of a snug feeling in your ear. How do you know the seal isn’t snug? If you hear a whistling sound. The whistling indicates the full seal hasn’t been formed yet. Get a proper fit, and don’t settle for anything less. Why settle, when you can go for Clarity? This entry was posted on Friday, January 27th, 2017 at 2:54 pm. Both comments and pings are currently closed.